Ahmir Khalib Thompson was born in Philadelphia on January 20, 1971. His father was Lee Andrews of Lee Andrews & the Hearts, a 50s doo-wop group. His mother, Jacquelin Thompson, together with his father, was also part of the Philadeltphia-based soul group Congress Alley. His parents did not want to leave him with babysitters, so they took him on tour with them. He grew up in backstages of doo-wop shows. By the age of seven, Thompson began drumming on stage at shows, and by 13, had become a musical director. 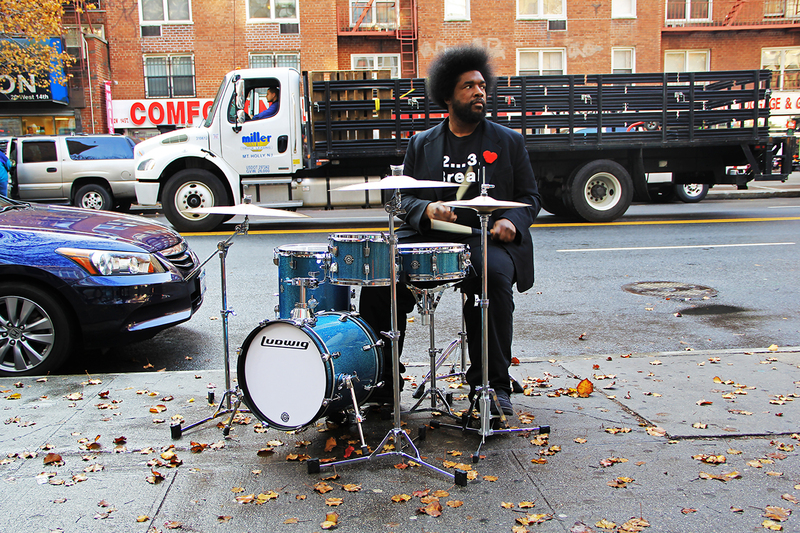 Questlove's parents then enrolled him at the Philadelphia High School for the Creative and Performing Arts. 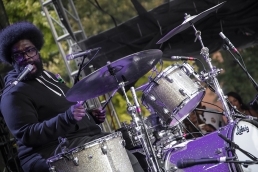 By the time he graduated, he had founded a band called The Square Roots (later dropping the word "square") with his friend Tariq Trotter (Black Thought). 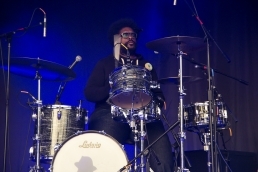 Questlove's classmates at the Philadelphia High School for the Creative and Performing Arts included Boyz II Men, jazz bassist Christian McBride, jazz guitarist Kurt Rosenwinkel, jazz organist Joey DeFrancesco, and singer Amel Larrieux. He attended senior prom with Larrieux. After graduating from high school, he took jazz and composition classes at Settlement Music School. 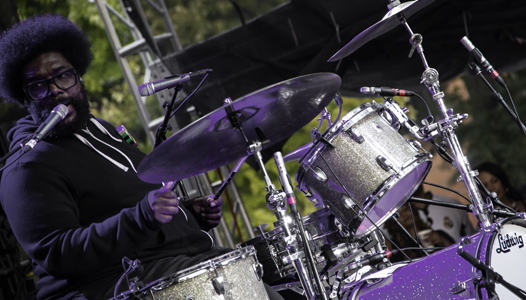 Thompson began performing on South Street in Philadelphia using drums, while Tariq rhymed over his beats and rhythms. Thompson and childhood friend, Jay Lonick, were known for improvisational "call and response" percussion battles with plastic buckets, crates, and shopping carts. 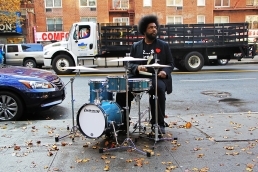 This style translated into Thompson's usual drumset arrangement, with most drums and cymbals positioned at waist level, emulating his original street setups.